Go sightseeing, take a tour & save with this budget-friendly, attraction-packed Go Chicago Card guide. Heading to Chicago for a short trip but still want to see the sights? It can feel like you have to rush to do everything you want to do, but the truth is — Chicago is actually quite an easy place to get around and the major attractions are close to one another. We put together this budget-friendly itinerary below for one day filled with Chicago attraction deals. Use it as a guide for sightseeing at a discount, from an aquarium to an observatory deck, with a Go Chicago Card®. This is one of our favorite spots to get amazing views of Lake Michigan and the city skyline. 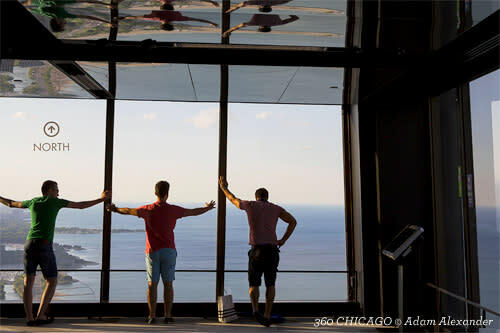 Located in 875 N Michigan (formerly the John Hancock Center), 360 Chicago is a newly renovated observatory deck on the 94th floor of the building. There is also a café inside so you can take advantage of the views while enjoying a cocktail or coffee at one of the seating areas inside. Insider tip: This is a popular attraction, especially on the weekend so we recommend going early to avoid long lines. Getting In: 360 CHICAGO tickets are included on the Go Chicago Card. 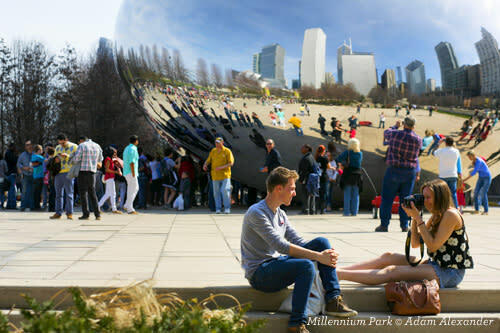 Home to Chicago&apos;s iconic sculpture "The Bean", Millennium Park — and in particular Cloud Gate — is popular among visitors and locals alike. It&apos;s one of the downtown landmarks that make the city so welcoming and beautiful. There&apos;s a good chance that a local event will be taking place in the park and if not, you can just relax and enjoy the scenery — just make sure to have your camera ready! Getting In: The Park is free to the public. You can purchase souvenirs or food from vendors. Leave at least an hour to visit the park. After your visit to Millennium Park, swing by Giordano&apos;s Pizza for some seriously delicious deep-dish (we tried it for ourselves.) The famous Chicago-style pizza chain continuously makes the press for top pizza places in the country. Popular for both visitors and locals, it&apos;s a great lunch spot. You really can&apos;t visit Chicago without making a stop at Navy Pier for the incredible views and hours of fun. The historic attraction is full of entertainment for all ages. Check out the theater, pop into a museum, or even see a show at the IMAX theatre. There are also 5 rides at the Pier including the newly renovated Centennial Wheel where you can see stunning views of the entire city. Insider tip: We recommend saving an hour or two to explore. If you&apos;re only interested in the Centennial Wheel and other rides, you&apos;ll probably need about an hour. 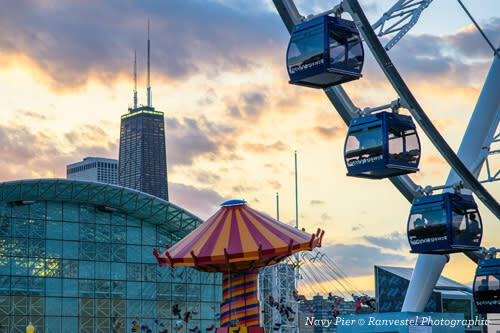 Getting In: Navy Pier Centennial Wheel tickets and rides are included on the Go Chicago Card. Located right next to Navy Pier is the classic Architecture River Cruise. If you do anything when you visit Chicago, it should be this! 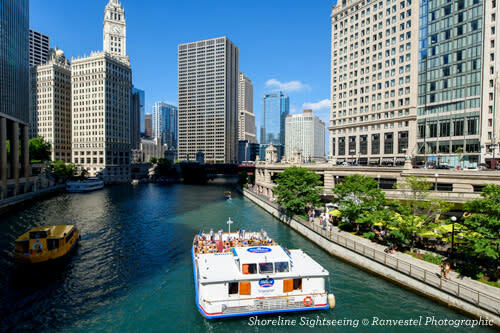 You&apos;ll tour through the river which flows through downtown Chicago while getting a fun and informative background of the city&apos;s history and culture. Reservations are not required for this tour. We recommend getting there 15 minutes in advance before the sail departure. There are multiple departures throughout the day between 10am-5:30pm April-November. Open since 1930, the Shedd Aquarium is one of the largest Aquariums in the world. 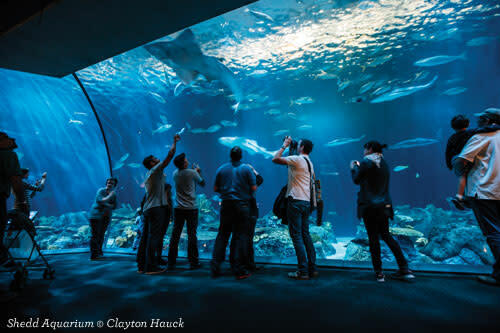 It&apos;s also one of the most popular attractions in Chicago due to its dynamic space and diverse marine creatures. A visit to the Shedd is both educational and fun for everyone. We recommend visiting because your Go Chicago Card allows you to skip the (often long) ticket lines. Proceed right to the will-call window line and present your pass for admission. We recommend leaving around 3 hours to explore Shedd. 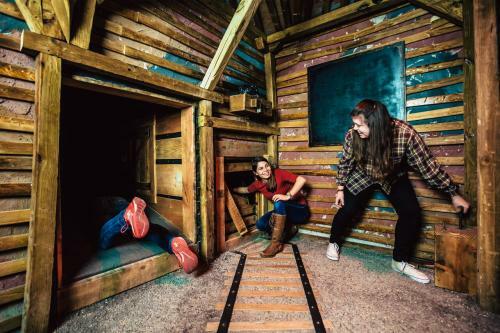 Take the kids or a group of friends on the greatest adventure ever with the rooms at The Escape Game Chicago in River North. Select from Gold Rush, Prison Break, The Heist and Mission: Mars to test problem-solving skills at all ages. Escape Game&apos;s various sets are extremely elaborate, with every effort made to create the most realistic experiences possible. With Mission: Mars, for example, a multi-room spaceship encourages participants to work together in small groups for minor clues and all together for breakthrough moments. With all the sound effects, puzzles, clues and countdown reminders, things get intensely fun fast. Getting In: The Escape Game Chicago tickets are included on the Go Chicago Card. This casual, family-friendly destination combines the best of a Jewish deli with a typical American diner. They even have an old-fashioned soda fountain! You&apos;ll find something to please everyone with their varied menu. Visit these top Chicago attractions and save up to 55% off vs. paying at the gate with a Go Chicago Card. Remember, this one day itinerary is just one of many ways to experience Chicago. The Go Chicago Card gives you the flexibility to create your own itinerary, so you can choose from dozens of top attractions and create a vacation tailored to your interests.